Lisa Washington is the Executive Director/CEO of the Design-Build Institute of America, where she has worked since 2004. She spoke recently with ENR Deputy Editor Richard Korman about design-build’s record on project cost, research on project delivery methods and progress on state-level enabling legislation to allow alternatives to traditional project delivery. Nebraska this week saw passage of the Transportation Innovation Act (L960), a bill that increases funding for Nebraska transportation projects and authorizes design-build project delivery, Construction Manager/General Contractor delivery and the use of Public-Private Partnerships (P3s) for transportation projects. 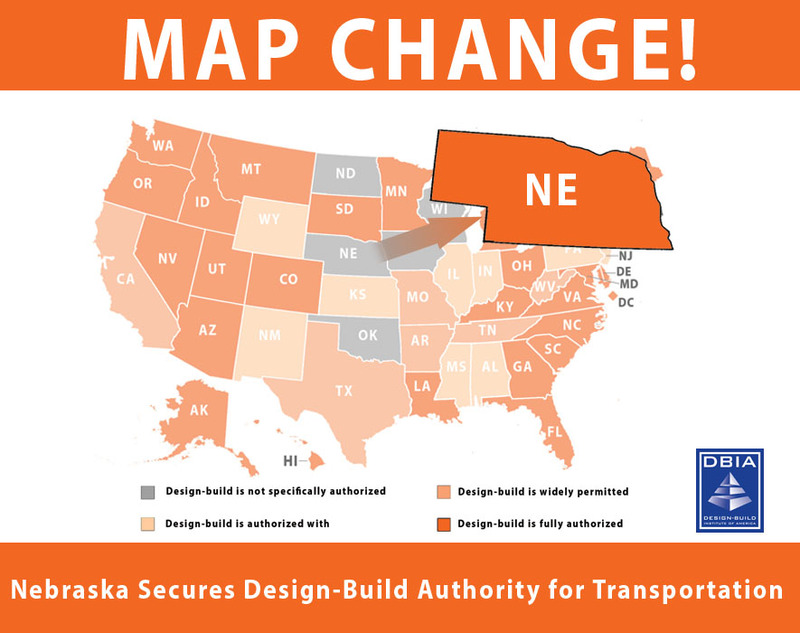 “This legislation will fundamentally change Nebraska’s Department of Roads for the better,” said Oretta Smith, Executive Director of the Design-Build Institute of America’s Mid-America Region. The P3 Map is Changing in 2016: Could Your State Be Next? It’s hard to say that Public-Private-Partnerships (P3s) have only become a trend in 2016. According to our P3 map based on state statutes, P3s are widely permitted in 10 states and are authorized for one primary sector in 15 others. However, legislation expanding or granting P3 authorization is undoubtedly trending this year. Many states came into 2016 with infrastructure improvements as a high priority, and turned to P3s as their solution, which has peaked DBIA’s interest since almost every P3 is delivered using design-build. Distinct from traditional design-build due to the financing and maintenance components, P3s can offer states a more comprehensive solution to delivering large projects that may be outside of their budgetary capabilities. The Minnesota Department of Transportation on Thursday announced a 2016 to-do list that includes 246 new and continuing projects valued at $1.04 billion, but the activity is down from recent years. In 2014 and 2015, MnDOT tackled roughly 300 projects each year with values of $1.1 billion in 2014 and $1 billion last year. That includes multiyear projects, but the values are based on spending in that year alone. Much of the focus this year is on preserving existing roads and bridges. Why is Gridd the perfect eco-friendly low profile access floor system? The Georgia Department of Transportation (GDOT) has issued its Notice to Proceed to North Perimeter Contractors to begin work on the $800 million I-285/SR 400 Improvement Project in Atlanta. The $800 million price tag includes right of way acquisitions, preliminary engineering, designs and environmental studies, among other costs. GDOT says more than 420,000 vehicles travel through the corridor surrounding the interchange, which is also near a Metropolitan Atlanta Rapid Transit Authority (MARTA) rail line. 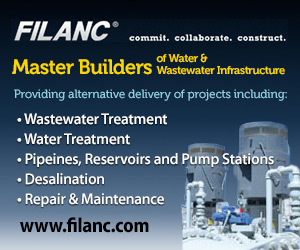 And, for information on the project, see the project’s page. The San Diego County Board of Supervisors Tuesday approved more than $1.3 billion to be spent on improving facilities and building new ones over the next five years, including libraries and government administration buildings, a fire station, sheriff's sub-station, new crime lab and residential crisis center. The state is seeking a development team that can design and build the $1 billion expansion of the Jacob K. Javits Convention Center. Area residents packed the Cole Memorial Building in Pequot Lakes on Friday to hear about the $49.9 million Highway 371 four-lane expansion project that's designed to improve safety and traffic mobility...Schmidt explained the design-build aspect of the project, which means designers work on little pieces at a time and the contractor starts working on each piece when the design is final. This means the project moves along faster. In recent years, Australia has come up with an alternative to tax increases that’s worth exploring in this country. As in the United States, most Australian infrastructure is the responsibility of the individual states, which have been taking an active role. But Australia’s federal government is giving them an incentive to do even more. The key concept is what the Aussies call “asset recycling.” What that means is a state or local government leases (for 50 to 99 years) existing revenue-producing infrastructure assets (airports, seaports, toll roads, electric utilities, transmission grids, etc.) to investment funds and pension funds—and uses the proceeds from the lease to pay for needed new infrastructure projects. Thus, the asset value that is liberated from existing infrastructure is recycled into much-needed new infrastructure, such as schools and other public buildings. Parsons is pleased to announce that the Associated General Contractors of America (AGC) recently honored the corporation with the Alliant Build America Award in the civil construction management category for its work on the Houston Metro Light Rail Transit (LRT) system. The design-build project—the largest public works program in the city’s history — extended Metro’s 7.5-mile rail service by 15 miles with the addition of three new rail lines through downtown Houston, TX. Turner Construction Company is pleased to announce that a design-build team of Turner and Skidmore, Owings & Merrill (SOM) has been selected to deliver the latest addition to the campus of the United States Naval Academy: the Center for Cyber Security Studies. The $114 million Center is a 206,400-square-foot academic building, dedicated to the education of midshipmen in all areas of cyber warfare, and will include classrooms and lecture halls, teaching and research laboratories, a research and testing tank to support the engineering and weapons laboratories, an observatory, offices, and multi-purpose collaborative space for students and faculty. Situated between Nimitz Library and Rickover Hall, the Center will be surrounded by elevated hardscape terraces continuous with those of the adjacent buildings. The 1,300-ft-long historic crossing is the largest of five megaprojects in the Massachusetts Dept. of Transportation’s accelerated bridge program. Crews finished construction of the six-lane northbound side last November—"the greatest milestone" for the $292-million design-build project, says Chris Daigle, assistant project manager with the design-build joint-venture team of Walsh Construction and McCourt Construction. HNTB led the design to replace the 65-year-old twin-barrel steel-arch truss bridge with a network tied-arch bridge—the only one of its kind in the state—plus several other overpasses along a 3.5-mile corridor of I-95. The U.S. construction industry often boxes itself in when facing obstacles or uncovering the newest emerging trends, while similar situations are occurring in nations across the globe. That international perspective can offer unique solutions and a sense of camaraderie as industry professionals attempt to solve problems and improve efficiencies. A prime example of this exchange of international perspectives occurred last week during the RICS Summit of the Americas and World Built Environment Forum in Washington, D.C.
"They look at scope, price and insurance, and that’s it," said Andrew Richards, co-managing partner at Kaufman Dolowich & Voluck. Richards noted that many times, a client will come to him seeking advice after the contract has been signed and when there's already a problem arising from the language in the general conditions. The fine print can contain potential land mines for contractors, as it includes vital information that can spur legal battles during or after a project. All parties involved with a contract need to pay attention to these general condition clauses, as they can have a major impact down the line. In most states, a contractor is precluded from bringing direct claims against the project engineer in the absence of privity of contract. Until recently, California, like other states, applied the economic loss rule and required privity to bring suits in the commercial construction setting. Beginning with Beacon Residential, however, California courts have begun to look closer at whether a legal duty is owed by an engineer and contractor in the absence of privity. This shift in analysis has resurrected claims against unwitting design professionals. The AWARE system is a radar-based system that can detect a potential work zone intrusion from multiple vehicles, and, simultaneously, warn the errant driver and workers who may be in harm’s way, says Nathan Creech, president of the Southwest Division of Oldcastle Materials Inc. The system consists of a sensor that includes electronically-scanned radar, high-precision differential GPS, accelerometers, gyroscopes and magnetometers for position and orientation sensing, explains Creech. High-definition video and several wireless interfaces are used to monitor traffic in the area. All of this is to broadcast a warning when an intrusion is detected. Have You Entered Your Favorite Project Yet? *The deadline to participate in the survey is April 30. Registration for the 2016 National Design-Build Student Competition is now open until September 2, 2016. The two-phase competition brings together teams consisting of five students from diverse fields of study (two students must be from design or architecture program) collaborating on Request for Qualifications (RFQ) for a parking facility on a liberal arts college campus in the United States. Finalists will then respond to a Request for Proposal (RFP) and the top three shortlisted teams will present in person at DBIA’s Annual Conference in Las Vegas. For more information and to register, click here. May 9-11, Certification Workshop, Chicago, Ill.
May 16-18, Owner Boot Camp, Raleigh, N.C.
May 12, Evening Program, The Incredible Tappan Zee Bridge Project - Design-Build at its Most Amazing!